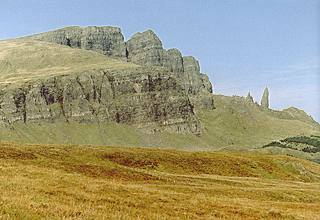 Many of the 'chase' scenes in "Destiny" take place near the Storr - a 719 metre high mountain in northern Skye. From Portree take the A855 (partially single track) towards Staffin. There is also a car park at the closest point on the road to the Storr although you cannot see the mountain from it because of trees but there is a path up through them to the base of the Old Man of Storr. 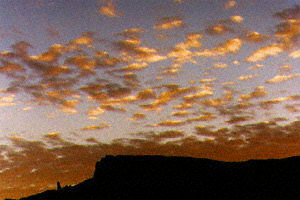 The better views from the road are to be had before you reach the Storr or after it coming back from The Quirang.